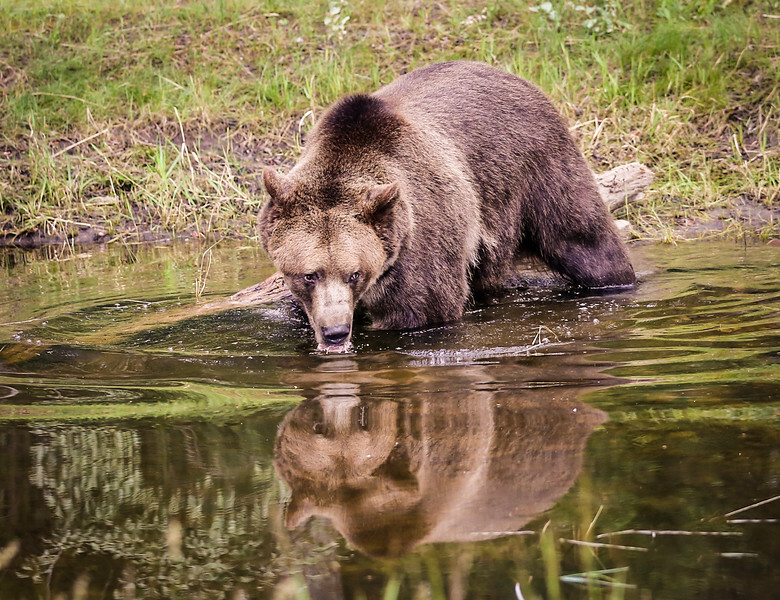 Here is a very friendly young female cinnamon bear looking very friendly. When she stands up she is taller than I am. As I looked into her eyes I wanted to give her a big hug (bear hug?) and a snack, but she would turn me into the snack. 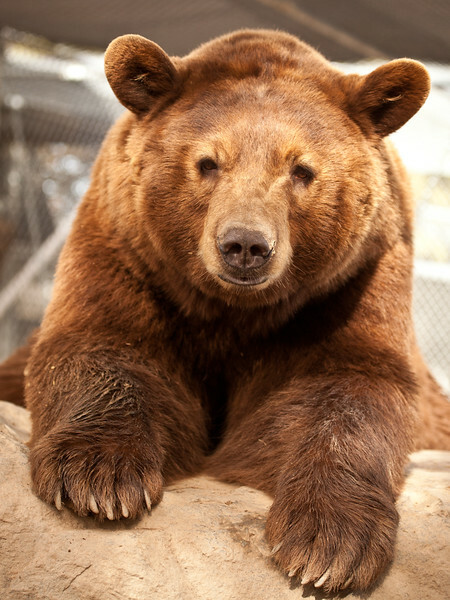 Cinnamon bears are a sub-species of the American Black Bear. 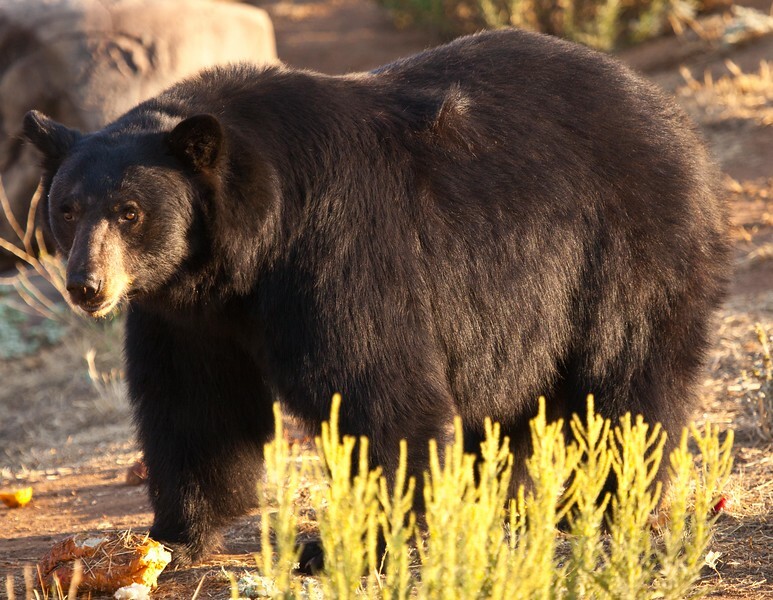 This handsome black bear lived in the hills in Southern California, but he developed a criminal record. He kept breaking in to a convenience store to eat all of their meatballs. After 3 offenses he was put in to a rescue facility, and named "Meatball". He is obviously well fed, and likes it that way. 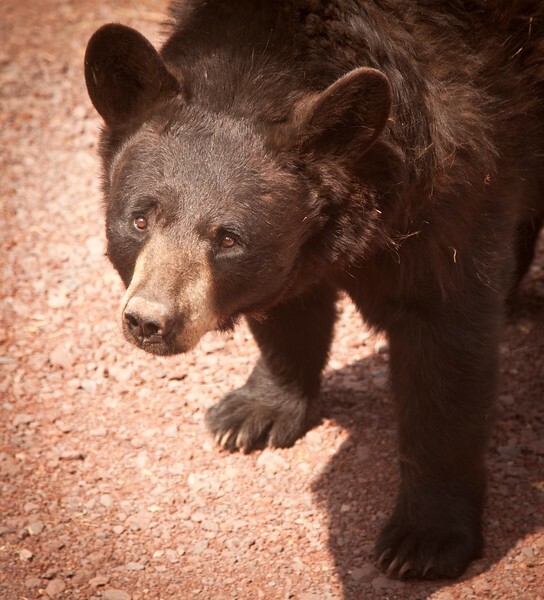 A large black bear (captive) in Northern Arizona. I looked into his eyes, and found myself wondering what he was thinking. I wish I could communicate with him, but he probably just wondered how I would taste. The largest Black Bear I have ever seen. 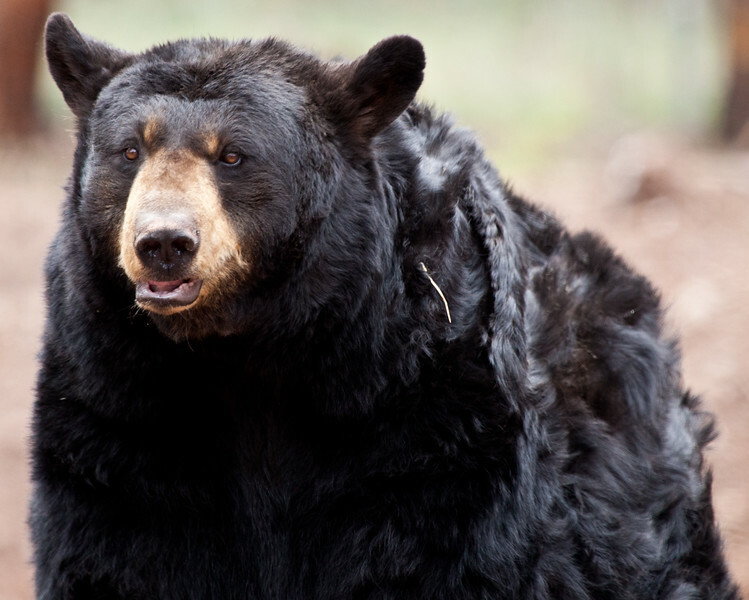 Black Bears can be either black or brown, and brown bears can be either brown, or black. 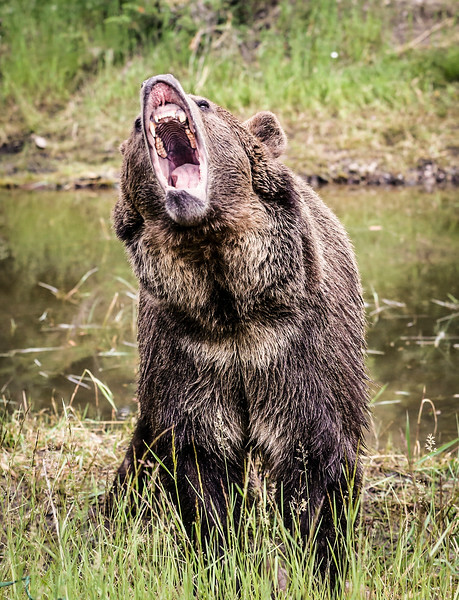 Black bears can climb trees, but brown bears seem more likely just to tear the tree down. 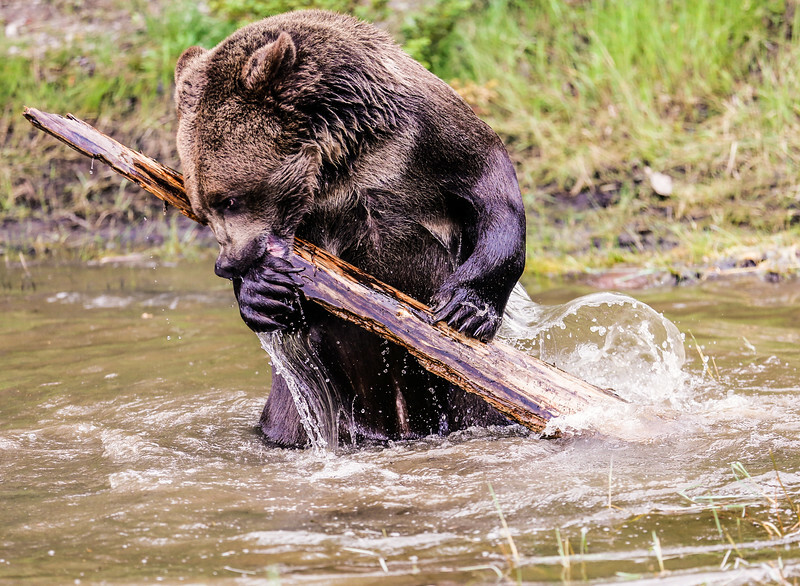 This grizzly bear was playing in a lake. He would tear a tree down, break it in half, then throw it in the water. He would then tear the pieces of the tree into small pieces of kindling, then repeat. He was hugely powerful. 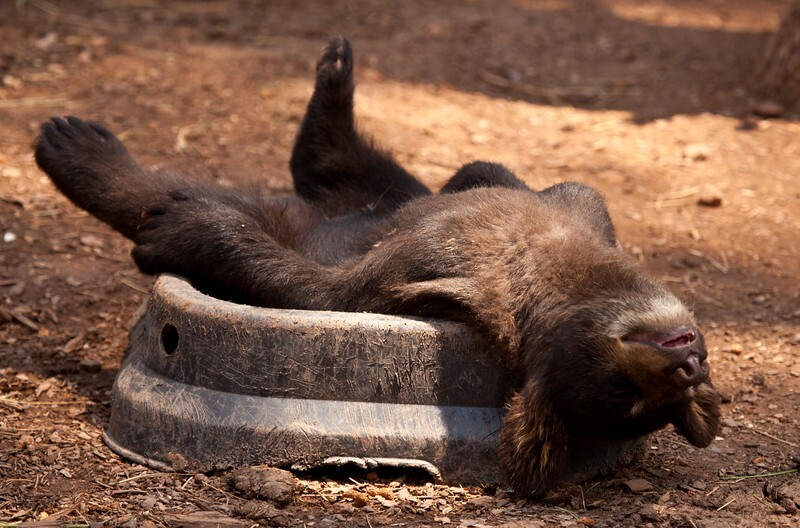 This is a 3 month old black bear, worn out from playing with the other 2 of the triplet bears. He was just like a young kid, dead tired but did not think of going in and taking a nap. He crashed in his food dish, and when he fell into a deep sleep like this, his head would fall back and wake him up. Of course within a very short time he was like this again. They had long gangly legs, and still had coordination issues, but they were very cute. 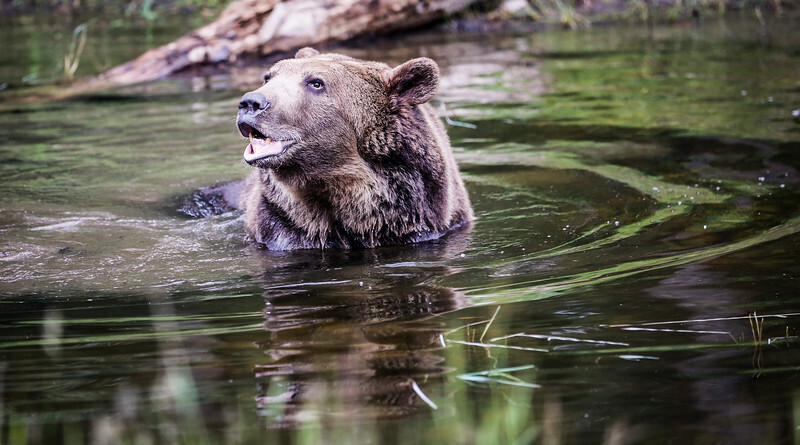 Immensely powerful grizzly bear (captive) playing in a lake. 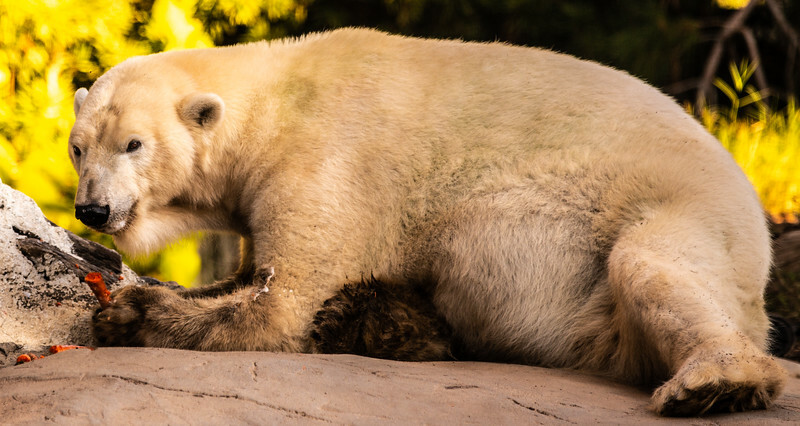 I felt better knowing this grizzly bear (captive) was well fed. Still, I was very happy I was not a smaller animal, not that that would have made any real difference. 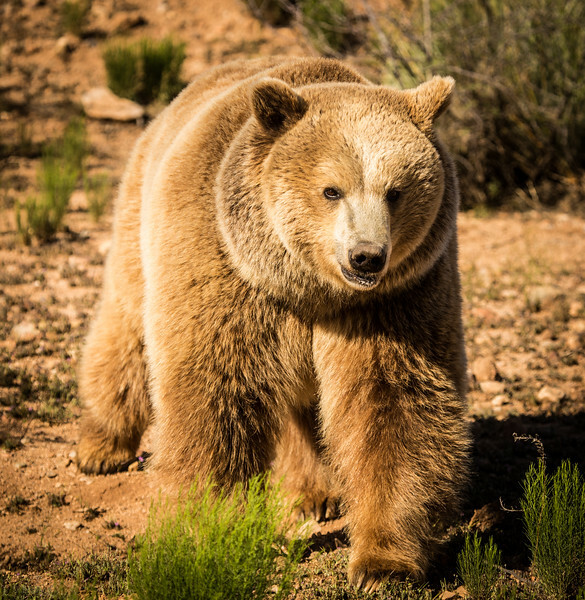 This handsome grizzly really can run, and they are fun to watch. Large amounts of bear fat can go flying in one direction, and even more fat can go flying in another direction. They are very entertaining, and often create large traffic jams in national parks. They have run right in front of my Jeep on a number of occasions.